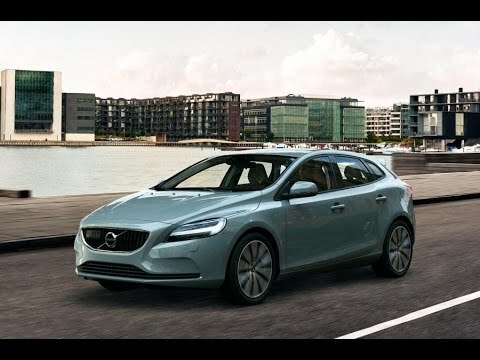 The Volvo V40 features clean lines and striking silhouette, it’s a five-door premium hatchback that stands out without needing to shout. In a segment that’s dominated by me-too lookalikes, the V40 is a fresh breeze of Scandinavian flair. But this car’s beauty is more than skin deep. The interior comes with a TFT display, keyless go, cruise control, heated door mirrors, Bluetooth and a leather-covered steering wheel as standard. Awarded with a five-star rating in the Euro NCAP tests, the model comes with City Safety system as standard. Our V40 Motability offers let you lease this exciting car in an affordable way that makes the most of your mobility allowance. Attractive benefits such as low and fixed monthly rental fees plus many adaptations at no extra cost make our deals highly rewarding. See the examples on this page for an overview of the offers you can take advantage of today which can all be adapted to match your requirements. Book an appointment with a friendly Motability specialist at one of our Volvo showrooms to talk about our Volvo V40 Motability offers. We will also arrange a test drive so that you can decide if it is right for you. Metallic Paint Included. Offer available on the Motability Contract Hire Scheme. DLA, PIP or AFIP holders: These prices are applicable for recipients of the Higher Rate Mobility Component (HRMS) of the Disability Living Allowance (DLA), the Enhanced Rate of the Mobility Component (ERMC) of Personal Independence Payment (PIP) and Armed Forces Independence Payment. WPMS Holders: These payments are applicable for recipients of War Pensioners’ Mobility Supplement (WPMS). Advance Payment is the non-refundable amount payable up front to your Retailer in addition to your weekly mobility allowance. 60,000 mileage allowance over 3 years. Offer available from 01/04/19 to 30/06/19 subject to availability at participating dealers. Offer not available with other Promotions and may be subject to change. Terms and conditions apply and are available on request.